Geriatric Rehabilitation covers three areas – normal aging due to disuse and deconditioning, cardiovascular problems like vascular disease and stroke, and skeletal problems including osteoporosis and osteoarthritis conditions such as knee and hip replacements. Rehabilitation maintains functional independence in the elderly. The prevention of falls and osteoporosis can improve the patients health and longevity. Addressing malnutrition can promote healing and vitalize the patient to participate in a formal rehabilitation program. Depression is common in the older population if a functional loss of mobility and an inability to perform activities of daily living (ADLs) predominates. 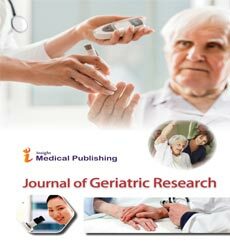 Geriatric Rehabilitation also have a role in intermediate care, where patients are referred by a hospital or family doctor, when there is a requirement to provide hospital based short term intensive physical therapy aimed at the recovery of musculoskeletal function, particularly recovery from joint, tendon, or ligament repair and physical medicine.